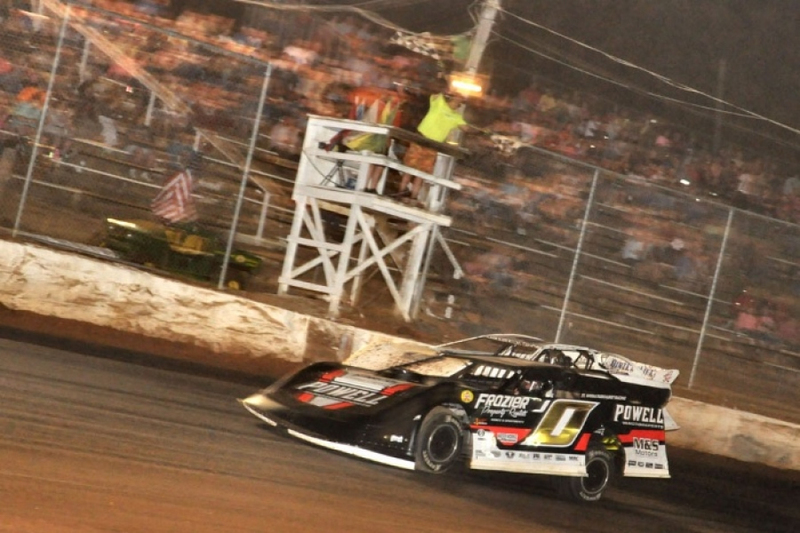 TUSCUMBIA, AL–The Southern All Star Dirt Racing Series presented by Max Fab returned to the North Alabama Speedway in Tuscumbia, AL., and was greeted with a huge crowd and an another first time series winner as John Owenby of Cleveland, TN., became the sixth different winner in as many races this season with the Southern All Stars. Owenby started on pole and led the first 11 laps till Riley Hickman went to the high side from his sixth starting spot and passed second place Jay Scott and then Owenby for the lead. Hickman controlled the race till the final eight laps when he ran upon lapped traffic and Owenby used it to his advantage and got under Hickman with eight laps remaining to get the win. 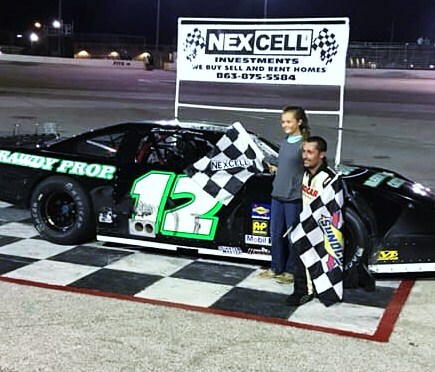 Points leader Jay Scott brought home another solid finish in third, Rick Rickman Columbus, MS., came home fourth from his 10th starting spot and fifth went to Eric Hickerson who started 14th to grab a top five finish. Sixth place went to Christian Hanger of Winchester, TN., in his first career start with the series, Brad Skinner of Spring Hill, TN., did not finish like he wanted to from his fourth starting spot but he finished a race this season in seventh. Eight to Ben Brocato of Muscle Sholas, AL., ninth Jason Frame of Decherd, TN., from his 16th starting spot and tenth to Daniel Miller of Fayetteville, TN., a brand new car. RACE TIDBITS: Jay Scott of Fayetteville, TN., continues to lead the series standings, Mark Dodson of Caledonia, MS., is second, third place Ray McElhiney of Pulaski, TN., Brad Skinner, Eric Hickerson, Riley Hickman and Joseph Faulkner. Local favorite Josh Putnam broke a rod in his motor during qualifying, then borrowed a car to start the feature event. First time starts with the series this season include Rick Rickman, Christian Hanger, Ben Brocato, Marcus Mingus, Cale Finley, Wayne Sutherland, Billy Flannigan Jr, Brian Rickman Trent Lawson, and Mark Dowdy. John Owenby made his very first trip to North Alabama first he had ever race at the facility. The next Southern All Star Dirt Racing Series event will be the first stop of the season at the Smoky Mountain Speedway in Maryville, TN., the Big Daddy 500 paying $5,000 to win on June 16th..
2018 CRUISE WITH THE CHAMPIONS/DIRTONDIRT.COM ROOKIE OF THE YEAR: 1.Jay Scott 492; 2.Mark Dodson 422; 3.Ray McElhaney 402; 4. Joseph Faulkner 270; 5.Pearson Lee Williams 78. 2018 AR Bodies Challenge: 1.Brad Skinner 155; 2.Joseph Faulkner 128; 3.Eric Hickerson 114; 4.Dalton Polston 41; 5.Bret Holmes 39; 5.Rodney Martin 24; 6.David Brannon 23.